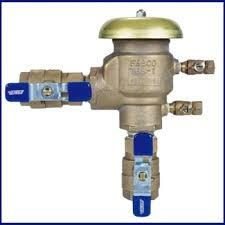 If you have received a notice from the water department that you need to have your backflow device tested. A+ Plumbing is a great option for this. A+ Plumbing is a State of Michigan certified backflow tester, so you can be certain you’re getting professionals for the job. Submit test results to the water department for you. It is not necessary to be present while our technician is at your home or business. Sprinkler system needs to be activated for the season to preform the test.